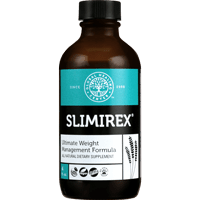 BACKGROUND: Ephedra-free weight loss dietary supplements (DS) containing Citrus aurantium (CA), a botanical source of the adrenergic amines synephrine (SYN) and octopamine, have rapidly replaced banned ephedra products, but have not been adequately studied. These DS may have some of the health risks associated with ephedra. We present novel data on CA PK/PD in humans. METHODS: In a randomized, double blind, placebo-controlled crossover study, 10 healthy adults took 1 oral dose of CA alone (Advantra Z®, (ADV) with 45 mg SYN), and a multi-component DS (Xenadrine EFX® (XEN) with 5.5 mg SYN), with a 1-week washout between treatments. Plasma drug levels were measured over 12 hours by LC-MS/MS. RESULTS: XEN but not ADV increased systolic and diastolic BP with peak changes over placebo at 2 hrs of 9.6 _ 6.2 mm Hg systolic (p _ 0.047), and 9.1 _ 7.8 mm Hg diastolic (p _ 0.002). Heart rate was increased at 6 hrs (16.7 bpm with XEN, p _ 0.011; 11.4 bpm with ADV, p _ 0.031). SYN Cmax was 2.8 ng/ml with ADV and 0.35 ng/ml with XEN. Caffeine Cmax was 5.1 mcg/ml with XEN. Plasma levels of octopamine were negligible. Dose-adjusted SYN PK were similar between treatments with tmax _ 90 min, t1/2 _ 3.0 hrs, V/F _ 16347L, and CL/F _ 88.9 L/min for XEN. CONCLUSIONS: Ephedra-free weight loss DS have significant cardiovascular stimulant actions. These pressor effects are not likely caused by CA, since a 8-fold higher dose of synephrine (ADV) had no effect on blood pressure, but may be attributable to caffeine and other stimulants in the DS.